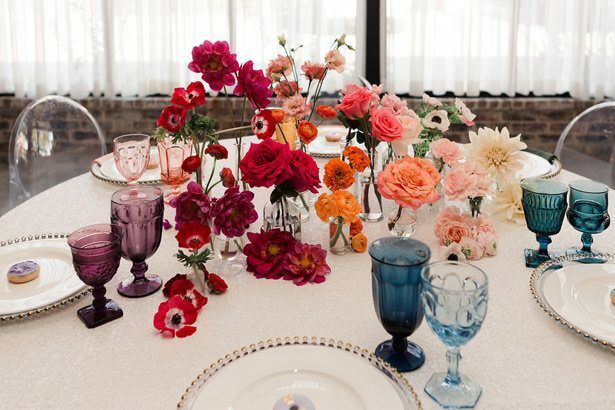 The number one rule when wedding planning: make your wedding your own. 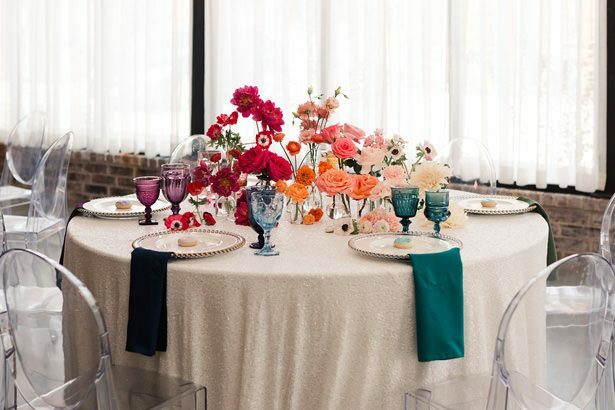 Whether it’s in front of two people or 200, across the world or across the street, make this once in a lifetime celebration truly represent you and your partner. 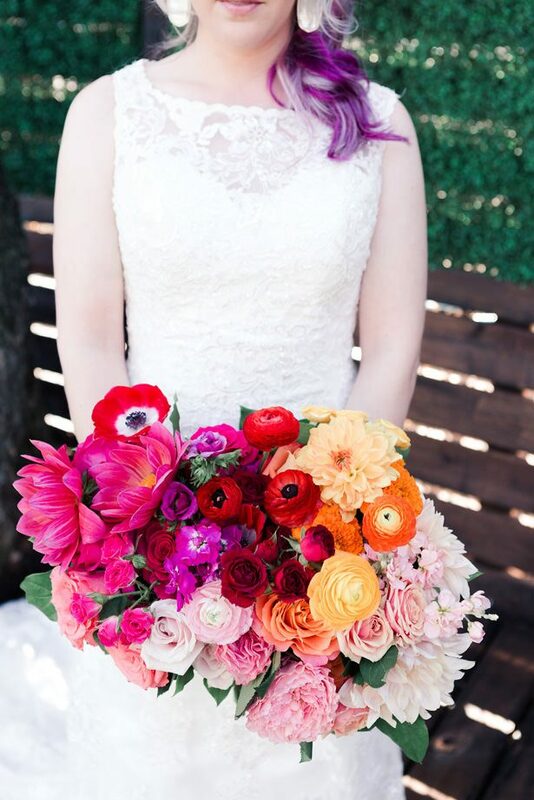 And that’s exactly what this Rainbow Ombré Wedding Inspiration represents. 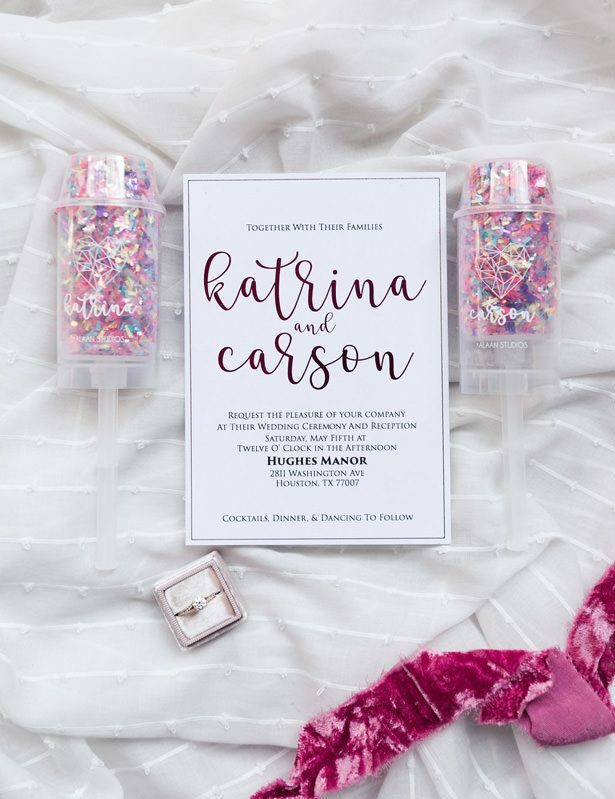 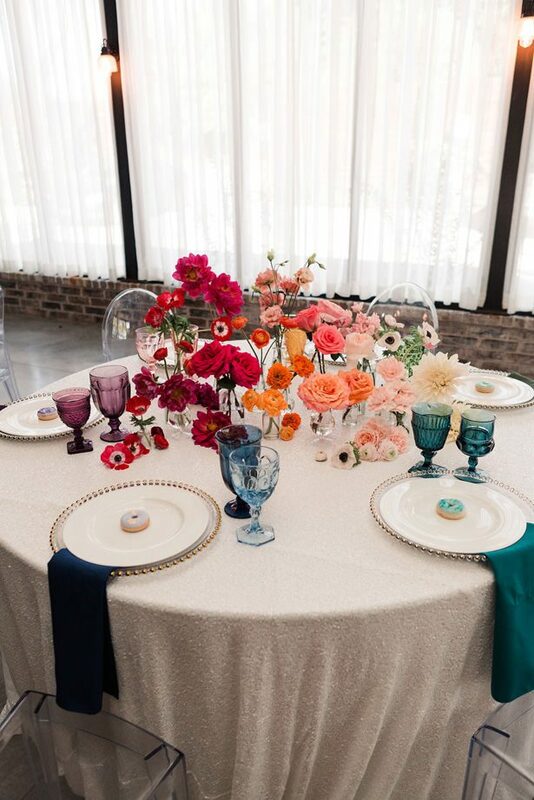 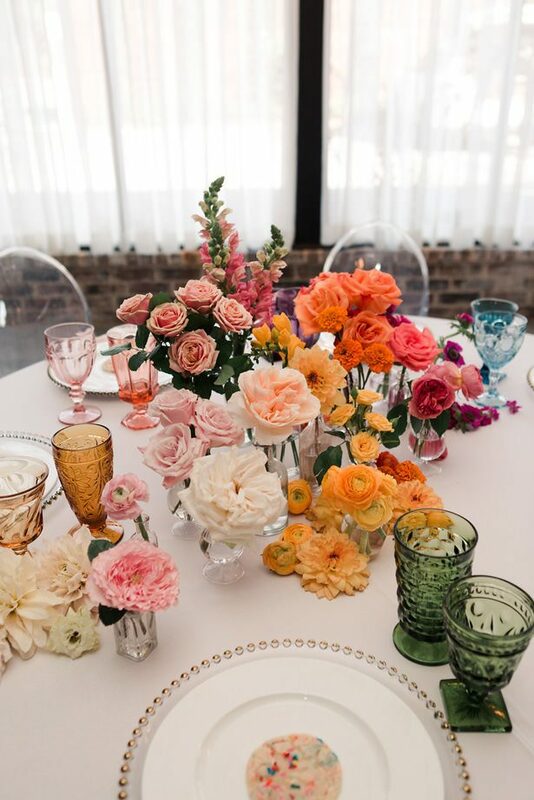 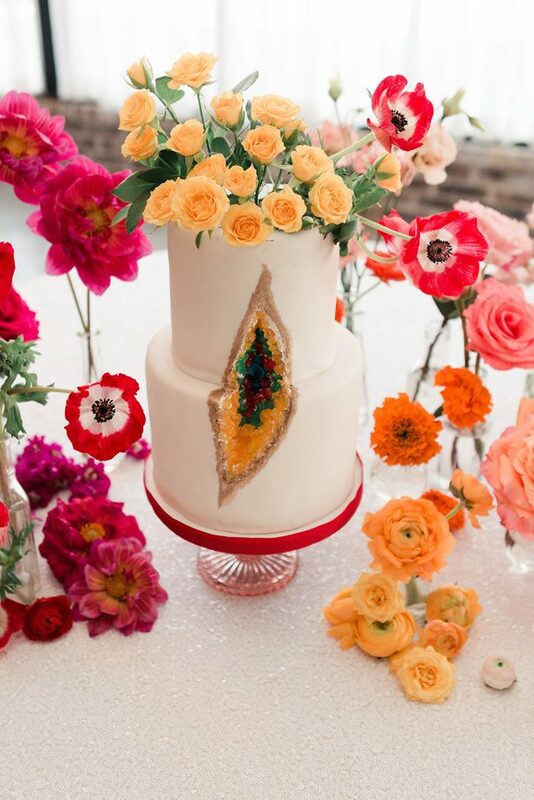 Who says that you need only three colors on your wedding palette? 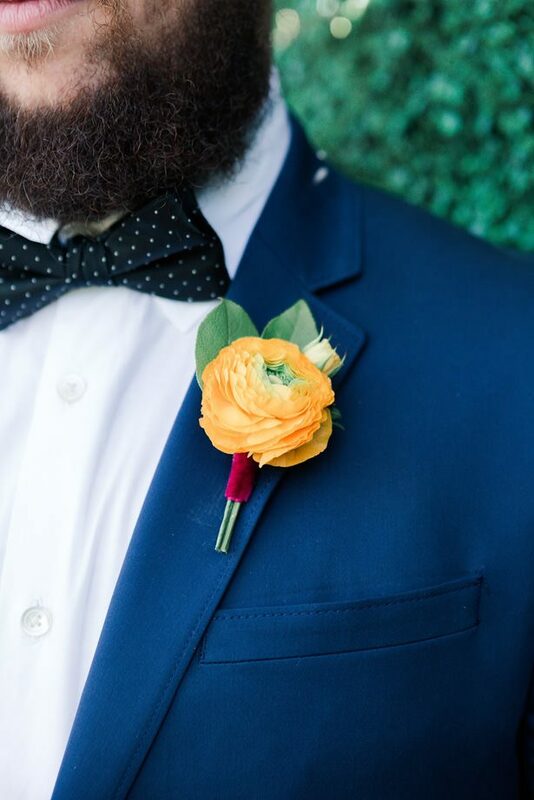 Who says you need metallic touches? 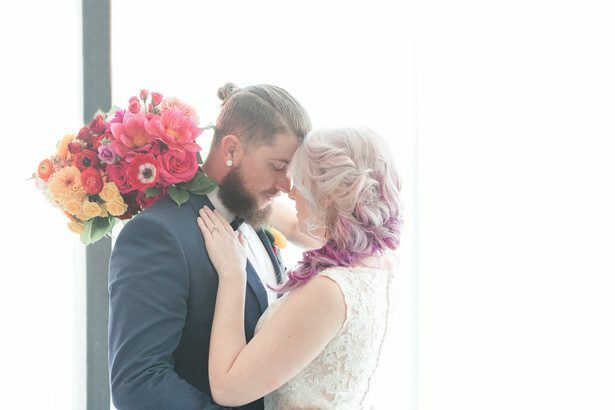 These beautiful images by Swish + Click Photography will convince you that glamour and personality are not mutually exclusive, and that sophistication can also be colorful. 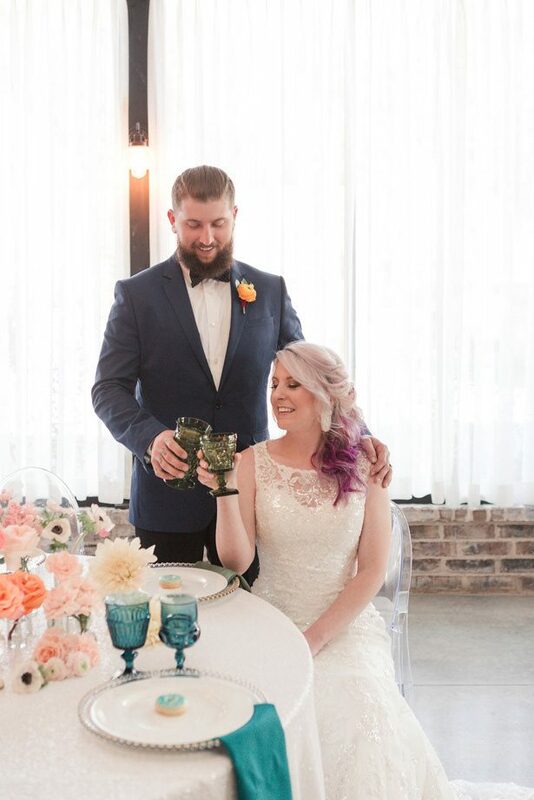 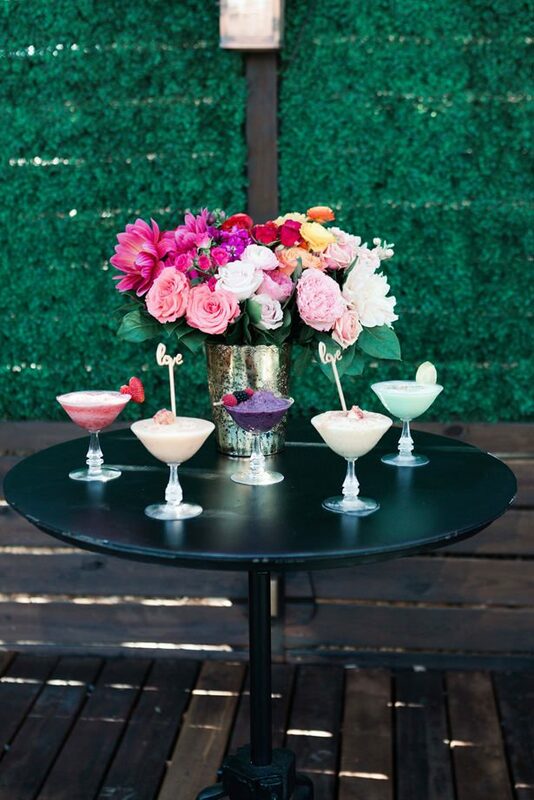 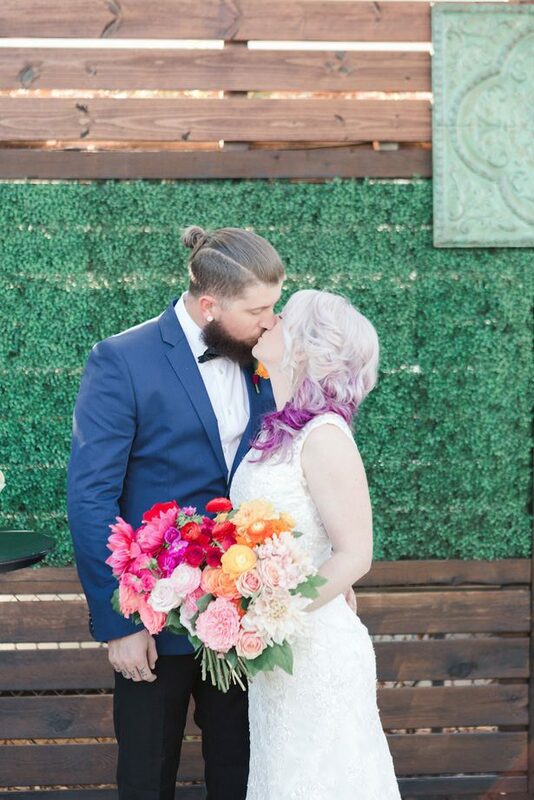 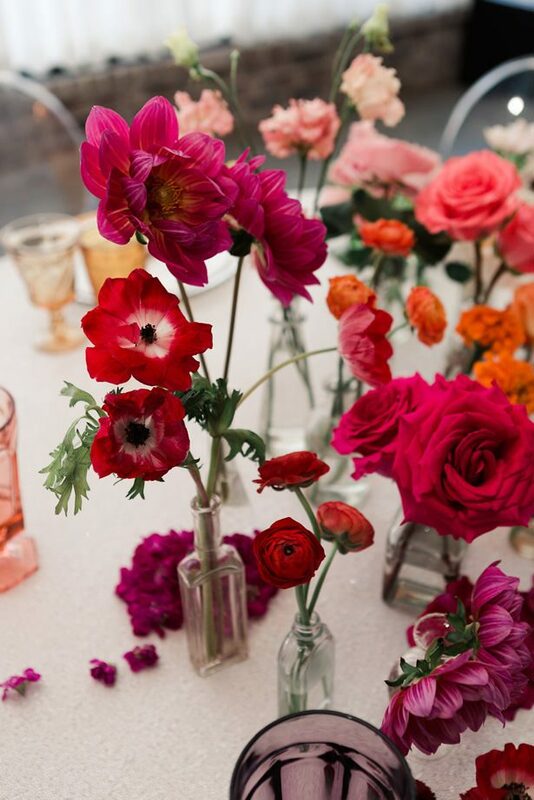 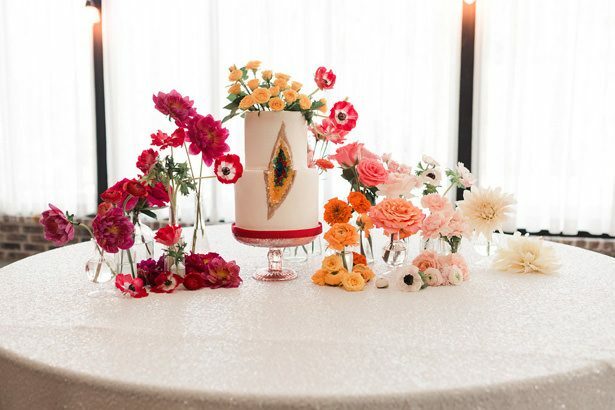 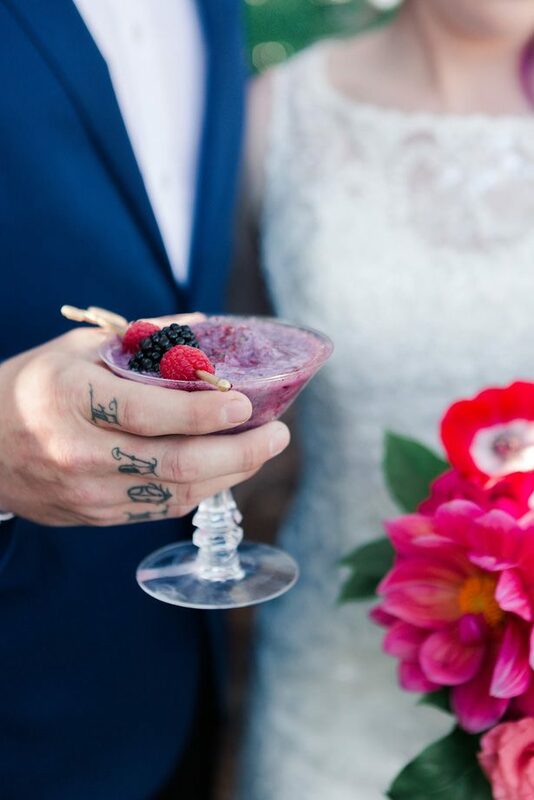 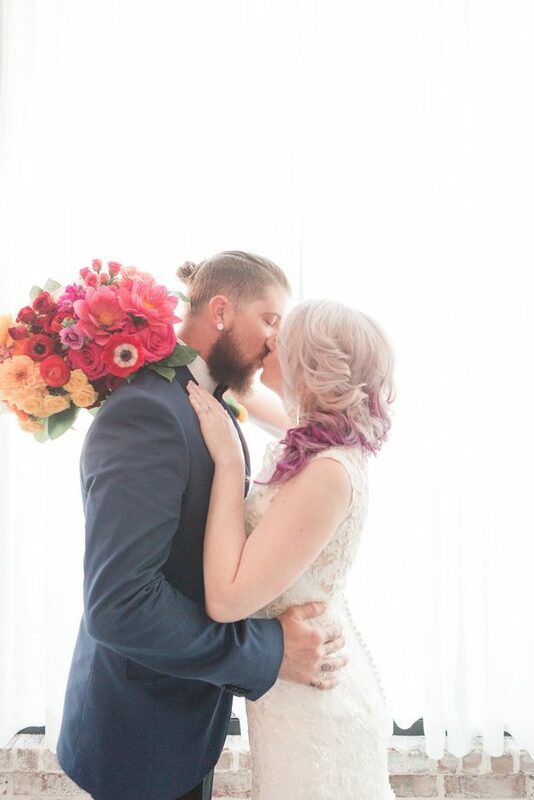 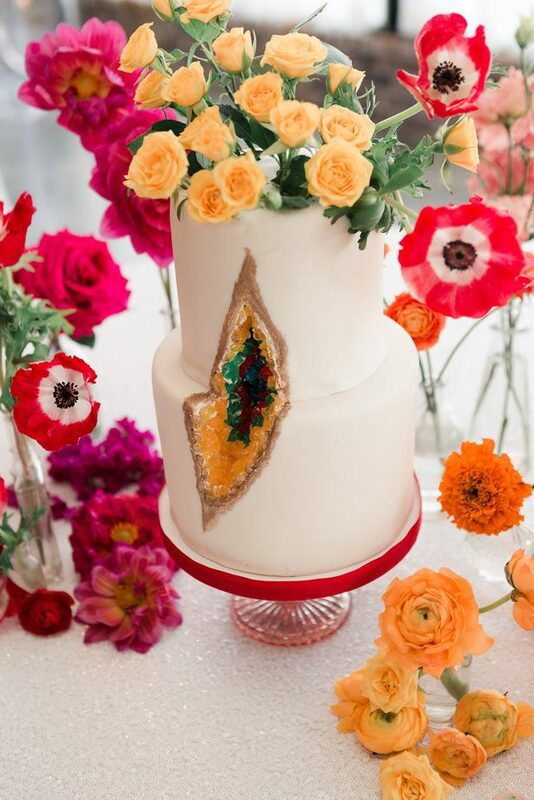 With the wonderful florals and fabulous multicolored wedding cocktails, the FULL GALLERY will give you all sorts of brilliant moments to ooh and aah over!